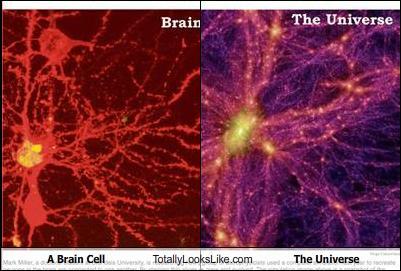 While browsing thru’ the Internet, I came across the above picture of a comparison on the similarities between our brain cell and that of our Universe. It brings me back to one of my old postings in my previous blog which I have transfered over to my new blog. So I ask the question, is the universe the braincell of GOD? Just like we discovery inside our own brain the same replication of the same system of network of stars that we see out there and also we can the same replication of our atom which has the same system of that of our planetary system. No answers but more questions and more mysteries of which we will never know in our life span of no more then a century but then there is one thing, the human race as a whole as we know is moving and evolving each generation backing up the other moving towards the unknown future discovering little by little of who we really are. I just can’t wait to see or hear that there are humans in another place other our earth. I wonder.. This image is helping astronomers learn more about how stars form in a galactic collision and will help them predict what will happen when our own Milky Way Galaxy collides with the Andromeda Galaxy a few million years from now. Did you ever ever ever wondered why our human minds just couldn’t stop searching and reaching out further and further into the unknown? 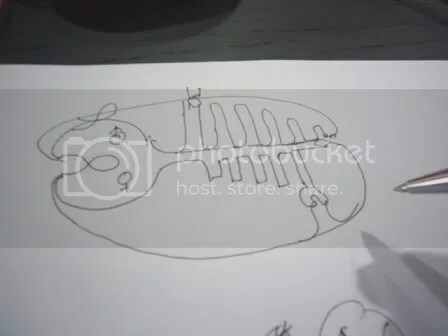 As to date, we so far know that there is only human life on earth, a small planet into middle of infinite space and we humans a tiny whinny creature of no more then 5-6 ft tall and a brain no bigger then a depleted football. Such infinite space for all for us? and we don’t even know how big? Don’t you think that it’s a little too big for us to even think about it. If your life is all there is.. a time limit of not more then a hundred years, what has the galaxy have in store for you? Nothing but a picture, nothing but an image. If we take human kind as ONE single entity, it begins to make some sense doesn’t it. Each generation upon each generation we discover more and more about our galaxies, our discoveries will one day takes further into the unknown, you never know one day humans can travel at the speed of light, you never know one day humans can change parts and live for thousands of years.. or millions of years. So you see we are all part of something bigger, we are a step or a rung in the ladder to something bigger then we can ever ever imagined. we could be one of the sperms that swims to the ovaries to start life. One of us could be the sperm that swims and dies half way. One of us could be the sperm that swims and enters the ovary. one of you will be earth. When you put all the entities into ONE, everything make sense. The infinite cycle of life and creation.